I've recently purchased a half-dozen Play Ball's over the last week, one in worse condition than the next. 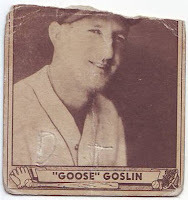 When I saw this Goose Goslin I had mixed emotions. 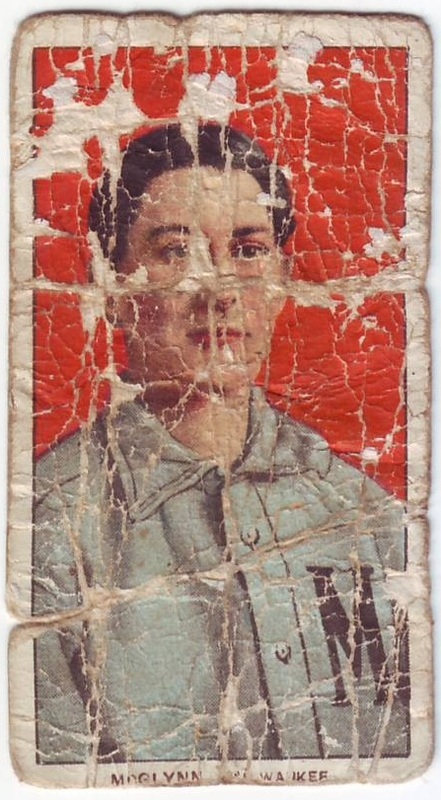 Is a baseball card a poor old baseball card even if it has the top quarter torn completely off? I own plenty of cards that have been torn but taped back together. Just look at my last post. But this piece is just flat out gone. The more I think about it the more I really don't care. This card seems to have as much character as any, maybe even more. Plus it's more than 70 years old. And it's a Play Ball, one of the most underrated sets ever. 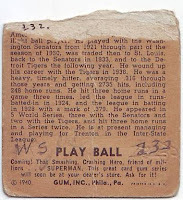 And as a bonus I was reading the ad underneath the PLAY BALL logo on the card's back. It reads: Coming! That Smashing, Crashing Hero, friend of millions. SUPERMAN. This great card gum series will soon be at your dealer's store. Ask for it. As a kid in 1940 it must have been a tough choosing between baseball and Superman. For about 75 cents per half how could I resist this beauty. It seems that years ago, someone decided to make the split. It reminds me of one of those old prom photos that you cut in two after breaking up with an old girlfriend. I wonder which Willie broke the previous owner's heart. Could it have been Mays after returning to New York in 1972? 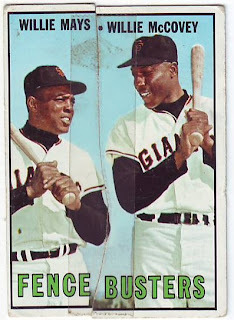 Or maybe it was McCovey who left the Bay Area for sunny San Diego in 1974? Either way someone made this relationship whole again. And all that was needed was a piece of tape. As a kid, before the Internet existed, I got my early baseball knowledge from things like encylopedias, almanacs and books. I remember walking into a bookstore that was right around the corner from my grandparents home and finding "Baseball As I Have Known It," by Hall-of-Fame writer Fred Lieb. Lieb's love for the game began in the early 1900s when he cheered on his Philadelphia Athletics during the American League's earliest days. He would later cover that team, along with several others as he made his mark as a reporter in Philadelphia and New York. His book is a wealth of knowledge. And I read every page. Chapter 8 is titled: Hal Chase: He had a corkscrew brain. It focuses on the darker side of baseball -- Gambling, throwing games, cheating, you name it. And at the center of it all was Hal Chase. Chase was regarded as a smooth-fielding, good-hitting first basemen. One of the best. Some would even consider him as the deadball era's biggest draws along with Ty Cobb. Lieb mentions him as being on par with the likes of Lou Gehrig, Bill Terry, Frank Chance and George Sisler. But only when he wanted to be. It seems like he had all the skills but didn't always use them. He would often be late in covering the bag or let the ball fall from his glove. Many of his managers flat out accused him of throwing games. And I think most baseball historians agree that he was no good. But he filled the stands and his antics were often overlooked. By 1919, he was banished from the game. Many think he was instrumental in the Black Sox scandal that would rock baseball. So in 1909, when a kid would have pulled this card from his dad's pack of cigs it must have come with some mixed emotions. Not only were you getting a card of one of the best but of a known cheat. Oh, and it was pink. Probably not your first choice. In 1991, Major League Baseball changed its definition of a no-hitter. Since 1991, a no-hitter must be at least nine innings. That wasn't the case prior to the new edict. Pitchers were one credited with no-nos if they lost a game as a member of the visiting team where the home team didn't bat in the ninth inning; and if a game was shortened due to weather or darkness. Manny no-hitters were erased from the record books. Include one from Stoney McGlynn. On Sept. 24, 1906, McGlynn tossed a 7-inning no-hitter against Brooklyn. The game ended in a 1-1 tie after darkness. Another interesting fact: On June 3, 1907, McGlynn pitched both games of a doubleheader, winning the first game but losing the second. 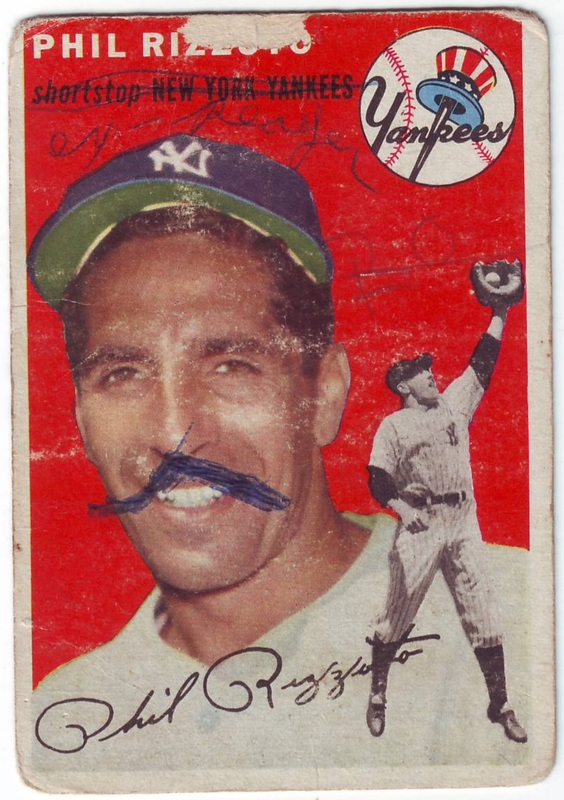 Oh the things you learn when buying poor old baseball cards. I've posted this card before. 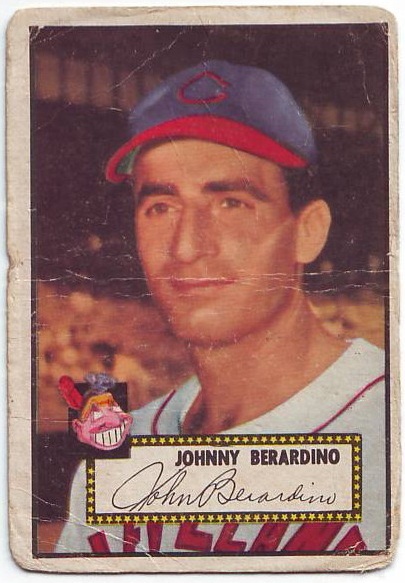 Not this exact card but the same player, year and issue. You can find it here. Most collectors try and replace their cards with better examples. 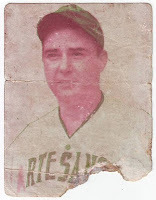 But here at Poor Old Baseball Cards, I replace my cards with the lowest conditioned card I can find. And when it comes to this 1961 Fleer Babe Ruth, I've found a better (worse) card. At some point, this card was literally ripped in half. And it still would be in two pieces if it weren't for that strip of tape holding it together. This 1961 set has been gaining ground in my book for a while. It's not the oldest set and it's not all that common, but what I like most is that the cards in the set are relatively affordable. Even Babe Ruth. I just picked this one up off eBay a few weeks ago for under $10. 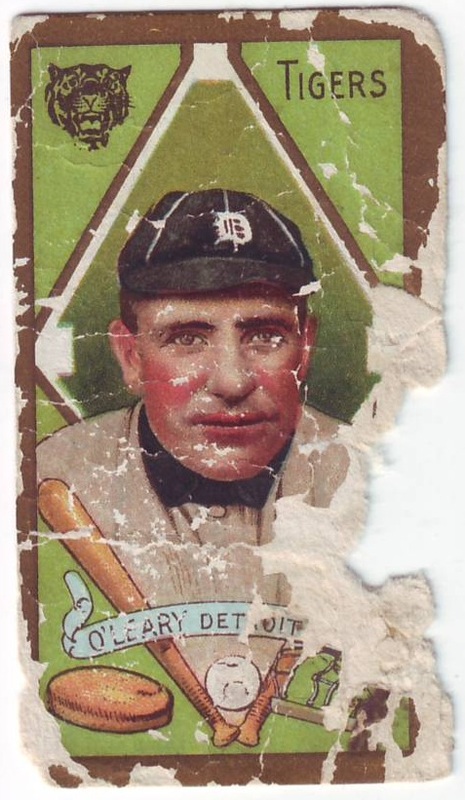 Some may ask: Why would anyone pay $10 for a baseball card that has been ripped in two? My answer is simple: Babe Ruth. And in the world of vintage poor old baseball cards, that's a valid argument. Don't you think? 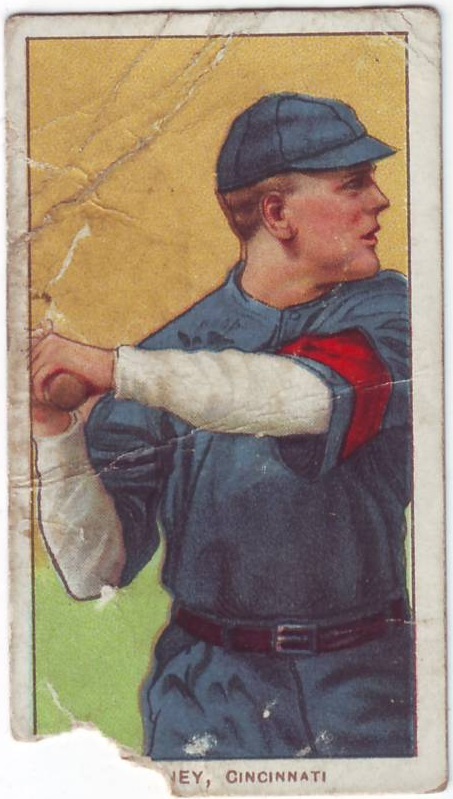 From what I can tell, there are six cards in the T206 set that feature horizontal poses: Joe Birmingham, George Mullin, Danny Murphy, Barney Pelty, Jack Powell and Harry Pattee. I've been collecting T206s for a while now, I'd guess 25-plus years. 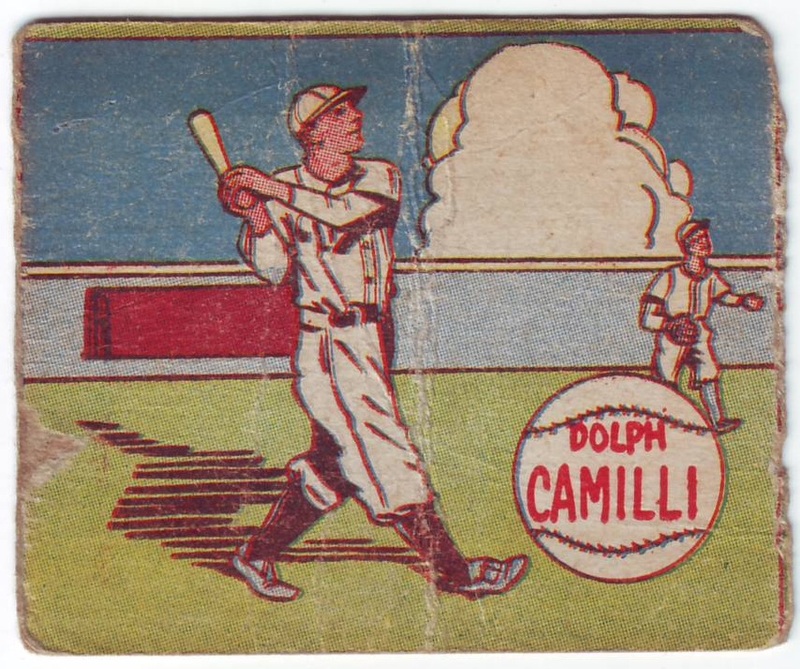 I recall buying my first - Eddie Collins - at a local baseball card shop at a time when baseball card shops were like Starbucks, one on practically every corner. I remember studying the players, famous or not: Ty Cobb, Rube Marquard, Red Ames, Admiral Schlei, Walter Johnson and John Titus (one of my favorites since he wore a moustache). But I don't recall Harry Pattee. After looking him up, I realized he only played one season and only 80 games. A member of the Brooklyn Superbas. He had 76 hits, nine RBI and hit for a .216 average. This particular card has seen better days. It appears it spent a good portion if its life in a scrapbook. 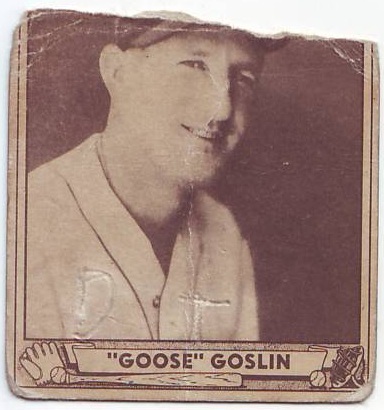 Nonetheless a great poor old baseball card.